At The Experiment Comedy Gallery, 20 Broadway, Williamsburg. 8pm. Tickets are $5 and can be purchased here. More info here. 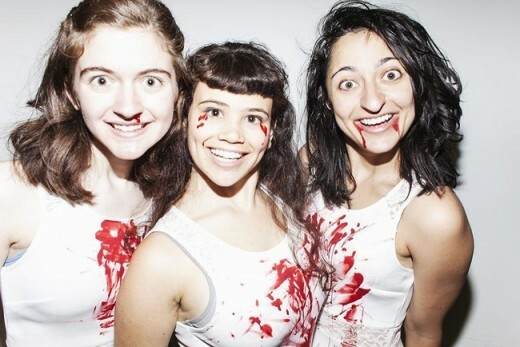 I first caught wind of Three Busy Debras (consisting of Mitra Jouhari, Sandy Honig, and Alyssa Stonoha) when I read about their bold, horror-filled, darkly comedic short plays (in a piece by B+B contributor Jenna Marotta, no less). They sounded totally intriguing and badass, so I was pleased to see them billed at The Experiment this week. Their show is an acerbic take on the rich and famous, accompanied by art crafted by a whole slew of comedians and artists. At Powrplnt, 562 Evergreen Ave., Bushwick. 9pm. $6. More info here. A while back we talked to Angelina Dreem about her nonprofit Powerplnt, a workspace and gallery providing tech-centric classes and workshops. Friday, they present their “first monthly event about feelings.” The event is one of the first to happen in the new, permanent space. It features performances and “touching feels” by Colin Self, Baby Perrier, Bebe Yama, and Hunter Hunt Hendrix, and a portion of the proceeds will be donated to various organizations supporting teen mental health. Feels good. Continues through Feb. 6 at The Bushwick Starr, 207 Starr Street, Bushwick. Wednesdays-Saturdays at 8pm. Tickets are $18 ($15 on Wednesdays if you’re an artist) and can be purchased here. More info here. 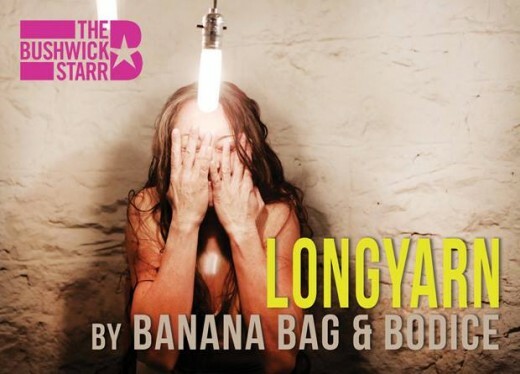 Banana Bag and Bodice presents the world premiere of their “shaggy-dog folktale” LongYarn, centering around a woman called “Mother,” who is a composite of intriguing women from history. Collaborators who worked on the project include Glickman Award-winning Jason Craig, Jessica Jelliffe, and composer/performer Dave Malloy, whose electro-pop opera (that I saw many times) Natasha, Pierre and the Great Comet of 1812 will soon go to Broadway. Initially part of the Exponential Festival, the show has recently announced an extension into early February after netting rave reviews. Stop by nearby watering hole Heavy Woods after for drink specials. At The PIT, 123 East 24th Street. 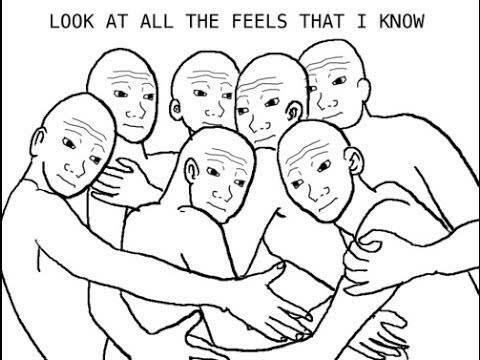 2pm. Tickets are $20 and can be purchased here. Comedy duo Marina Tempelsman and Nicco Aeed (featured on Comedy Central, Funny or Die, and UCB) kick off a residency at The PIT with a five-hour marathon of murder and mystery. You know, the relatable stuff. Consisting of eight 30-minute episodes presented back to back in the style of radio serials, the episodes feature laughs, suspense, and a live Foley artist.